Our Favorite Afternoon Snack + Printable Valentines! | For the Joy of Life. Our Favorite Afternoon Snack + Printable Valentines! I don't know about the rest of you, but the afternoon munchies hit hard in our home. It's that time in the late afternoon when we've already had lunch and it isn't quite time for dinner, but Oaklyn and I just really need a snack that satisfies. 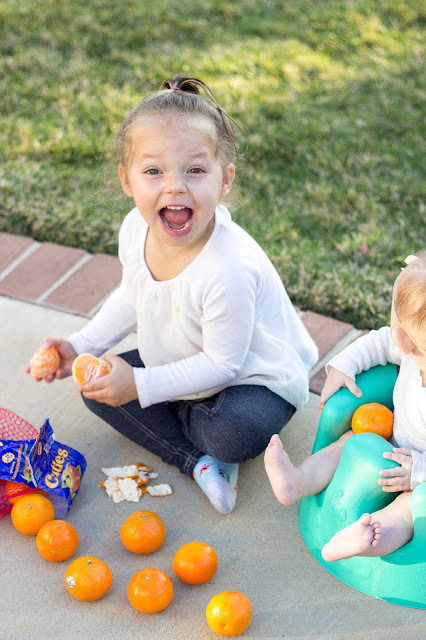 The absolute perfect snack solution that won't spoil our dinner is Cuties! They are perfectly kid-sized and adult-sized! Oaklyn is in a "I can do it myself" phase where she wants to be independent and do everything she's able to, on her own. There are definitely times when it's helpful, and others when it proves to be more difficult than beneficial. You know, like the times she wants to help make cookies and somehow flour ends up all over the floor... sigh. 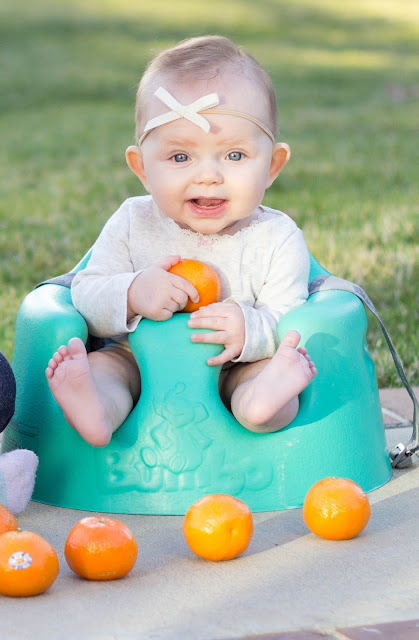 Luckily, Cuties are easy to peel and her little hands love being able to unwrap them. Not only are they easy to peel, but they are also easy to eat! Foods that involve a spoon, or any utensil for that matter, create quite the eating challenge for my little 2 year old. 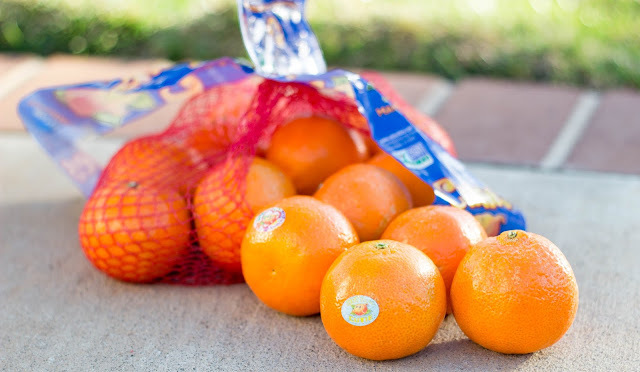 Cuties are sweet and seedless making them the perfect kid-friendly snack. 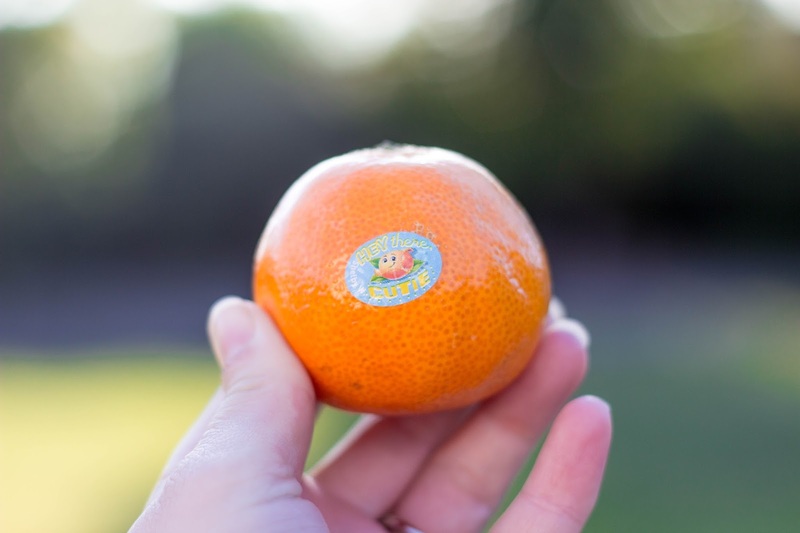 Lucky for all of us, it is Cuties season and they are back in-store, ripe, and ready to eat! 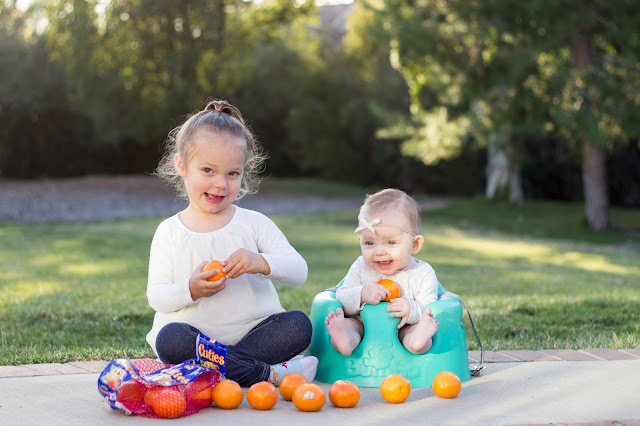 Not only do Cuties make the perfect snack for your little ones, but they also make a for a great activity to pass some time! We love sitting outside in the sunshine and peeling several of them together. Oaklyn would honestly rather peel a Cutie than play with half her toys, ha! 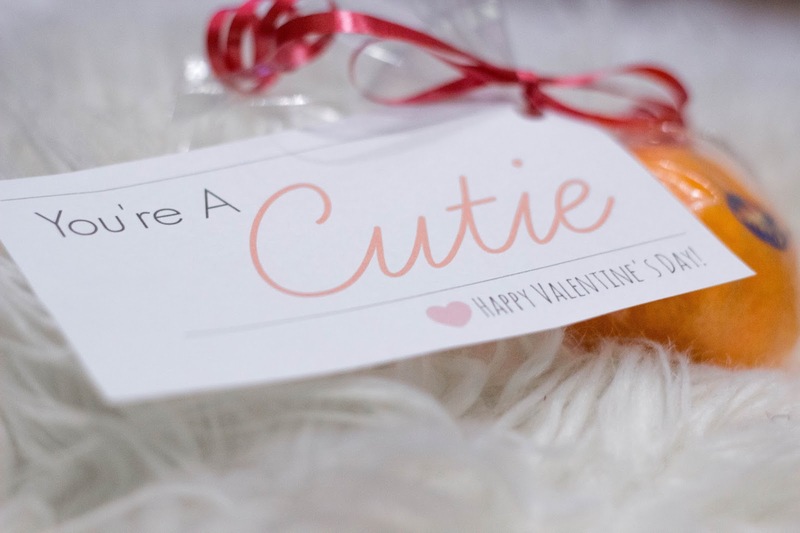 The other fun activity you can do with your kids and Cuties, is make Valentines! I personally don't think my child needs an ounce more of sugar on Valentine's Day, so I'm guessing other moms must feel the same way. For that reason, I think passing out Cuties make the perfect Valentines! Have your child help place a Cutie in a bag, let them choose some special festive ribbon, and then attach the Valentine card that I made! All you need to do is download the printable here and then print! I personally selected the option on my printer of 4 images per page but you can do one large Valentine, or even smaller with 8 images! Whatever you fancy ;) Have your child sign their name on the back, hole punch it, then attach to the ribbon. Now you have a festive Valentine for your child to give to all of their friends! February 16th is "Random Acts of Kindness Day" and to coincide with it, Cuties created their 100 Days of Sunshine Campaign! This campaign is meant to inspire others to spread sunshine within their communities and families. True happiness can be felt when you lose yourself in serving others and Cuties wants everyone to feel that joy and love. 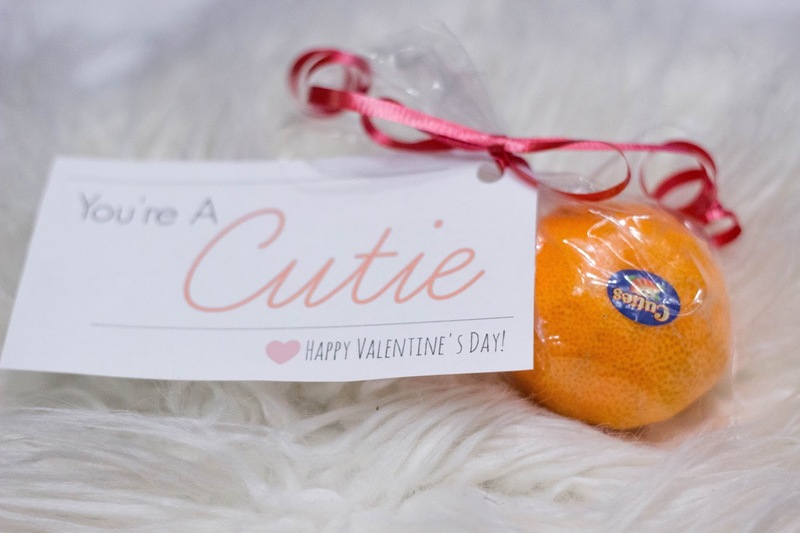 We will be taking our Cuties Valentines to local service men and women this year! 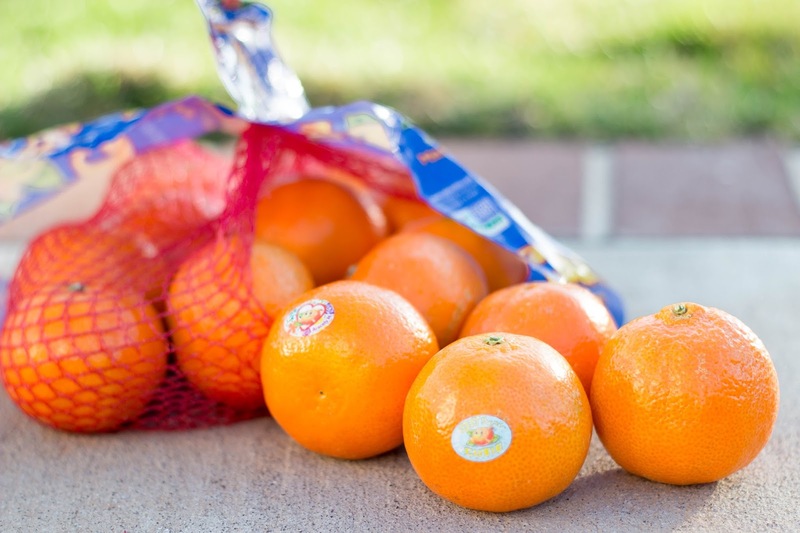 So, whether you need a snack on the go, a Valentine for your kid to bring to school, a snack in between meals, a tasty gift to bring to a friend or neighbor, or a side for a meal, Cuties are the perfect healthy and tasty option! 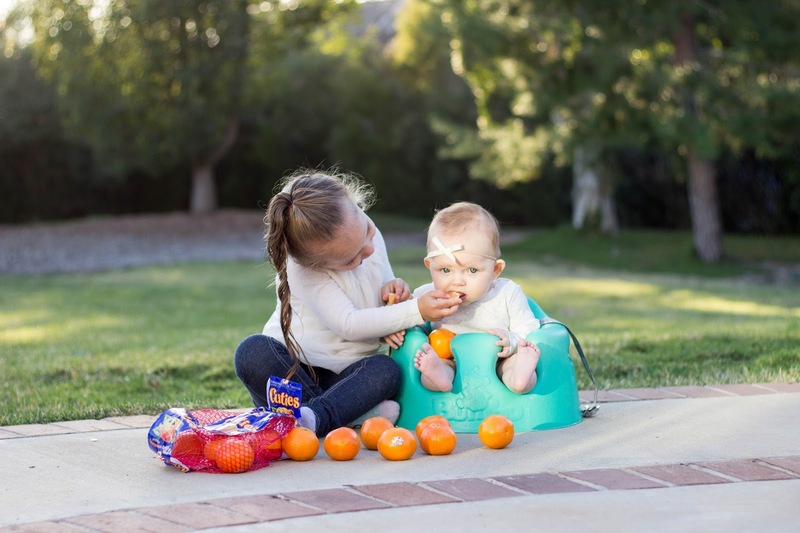 Does your family love Cuties as much as we do? Head over to buy a bag today!